There are lots of things you can do with $10. You can buy a couple tacos, or like two thirds of a cocktail at one of those trendy bars. Or ride the metra to and from Glen Ellyn. Or play “Shake It Off” 50 times on the jukebox at your local dive bar. Or you could turn your boring old general admission BeerHoptacular ticket into an “early entry” magic pass. For only $10 more, you get to enter BeerHoptacular a whole hour early which means that you’ll have first pick of the rare and highly sought after beers our brewery partners will be tapping. To help make our argument, we assembled this list of top five reasons to go early entry at BeerHoptacular. You’ll get to avoid the lines and have free reign of BeerHoptacular for an entire hour. Rub elbows with the other smarties that went early entry and taste some of the more sought after beers 100% stress-free. 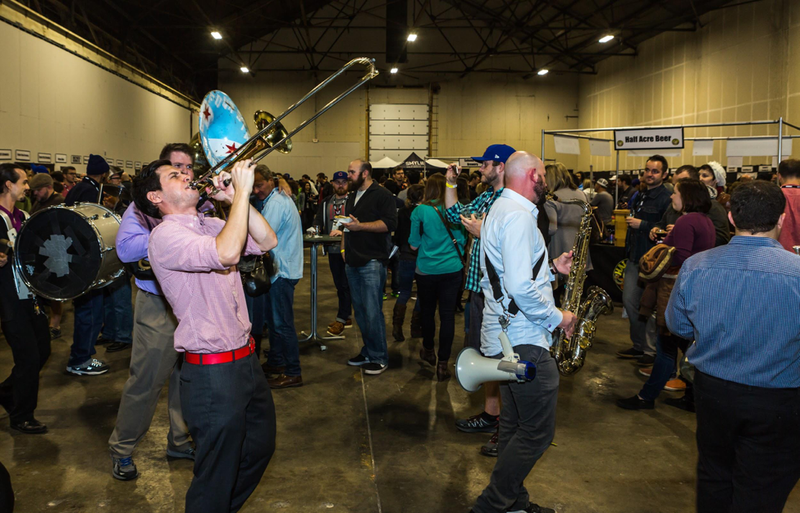 There are going to be a lot of beers at BeerHoptacular. More than 150. There’s no way you’re going to try them all… you’re not supposed to try them all. But with early entry, you’ll have more time to take it easy, check out what the fest has to offer, and taste the beers you really want to taste before the kegs kick.